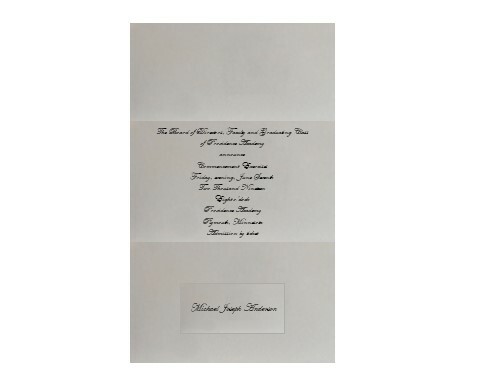 The graduation announcement is exquisitely crafted and printed on fine quality, custom milled paper. The announcement features the Providence Academy school crest, gold embossing, and navy & gold foil accents. The school building etching is inside, along with the commencement date, time and place. Be sure to order an extra for a keepsake. First opening features Providence Academy building etching. 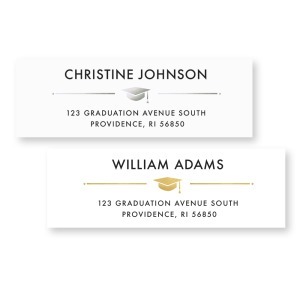 Graduation Commencement details and student personalized Name Card. The deadline to order custom announcements has passed. A limited quantity may still be available for order. Please, email us at gradsmn@jostens.com to inquire. 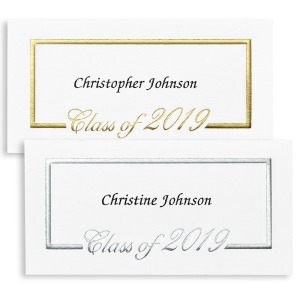 Foil Border Name cards - paper will match custom announcement. Foil will be gold. Take time to enjoy the journey...graduation and your next chapter awaits! 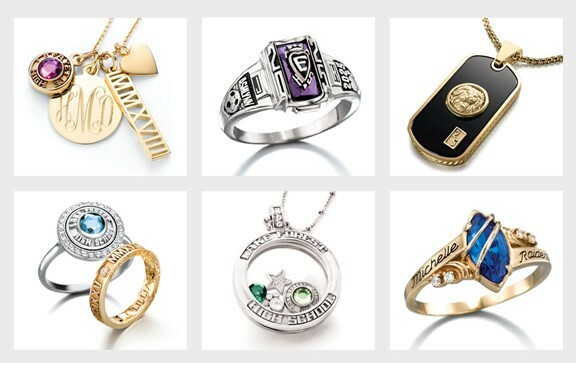 Jostens has everything you need to make your senior year memorable. If you are looking to order other grad essentials or more than 25 announcements…you can order directly on jostens.com!